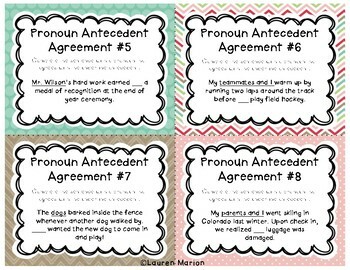 Use these 32 task cards for guided or independent practice to enforce pronoun antecedent agreement. 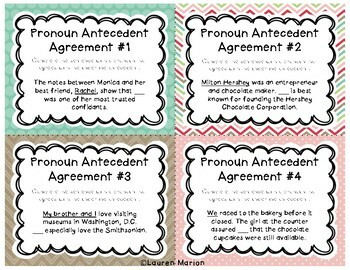 Students complete the sentence with a pronoun that agrees with the underlined antecedent. 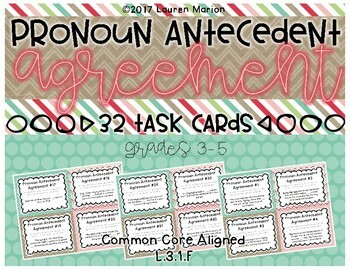 I love using task cards in a small group as a fun alternative to worksheet review, or as a whole class activity with a game of Scoot or review under the document camera. A student recording sheet and answer key are included. 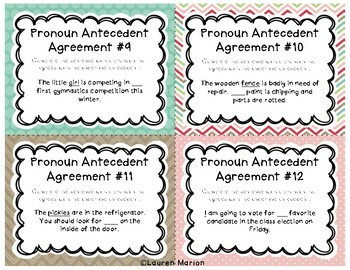 Low prep activity - print task cards, laminate for durability and repeated use, and print and copy recording sheets. Please consider following my store for more upper elementary and middle school resources.